So a little while ago i sold my Peugeot CFX10, this was its replacement. 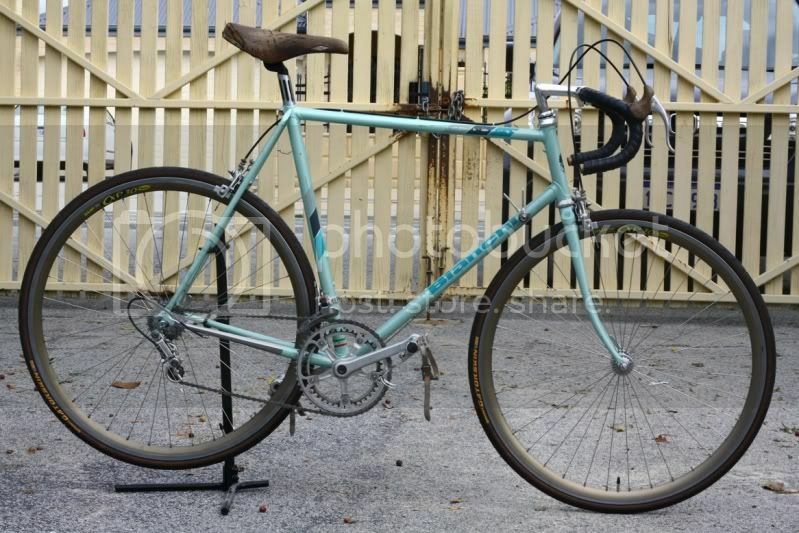 Late 80s Bianchi Rekord (i think, happy to be corrected). Frame was imported from Hungary. 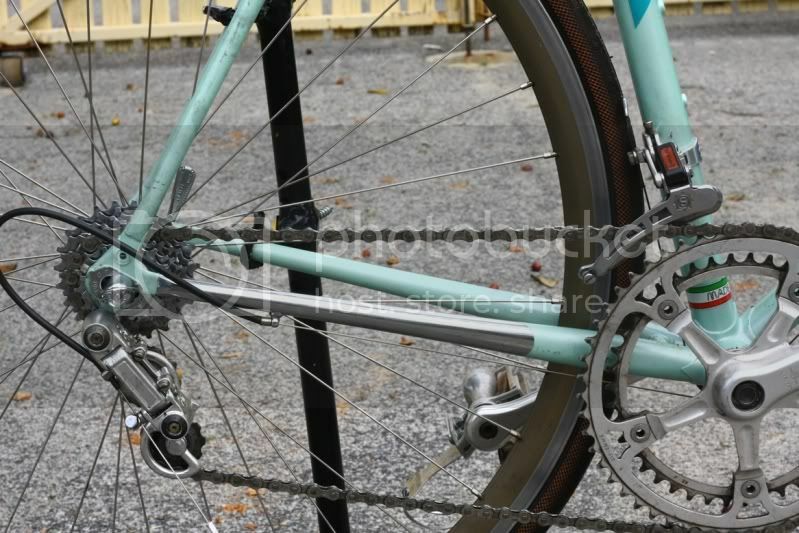 Frame: Bianchi Rekord, gipiemme drop outs, Bianchi tips and Bianchi italian BB, unsure of tubing though. 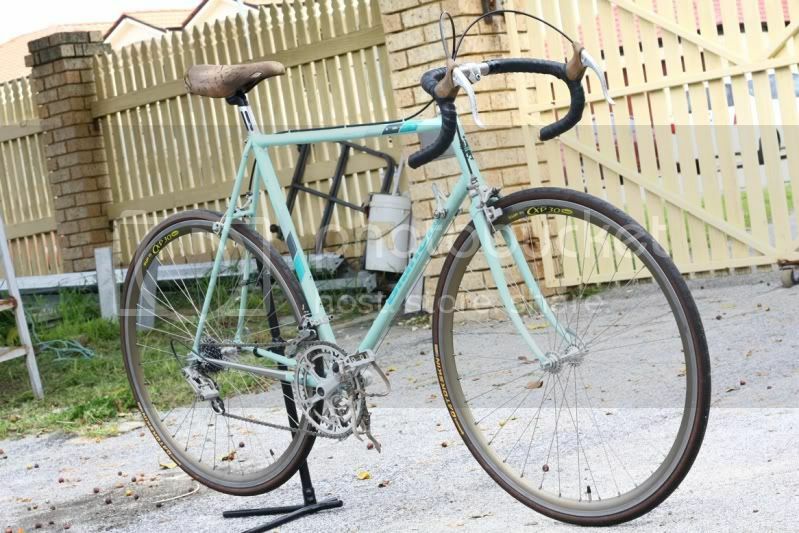 Mostly Gipiemme and Simplex parts, Stronglight headset, Ofmega italian BB, 3T stem and bars, Campy Record hubs laced to some Mavic CXP30s, 8spd miche cassette and a beat up Rolls saddle. I purposefully wasnt going for the 'NOS' look, mainly because i couldnt afford it , but also cos i didnt want to be scared of riding it ! 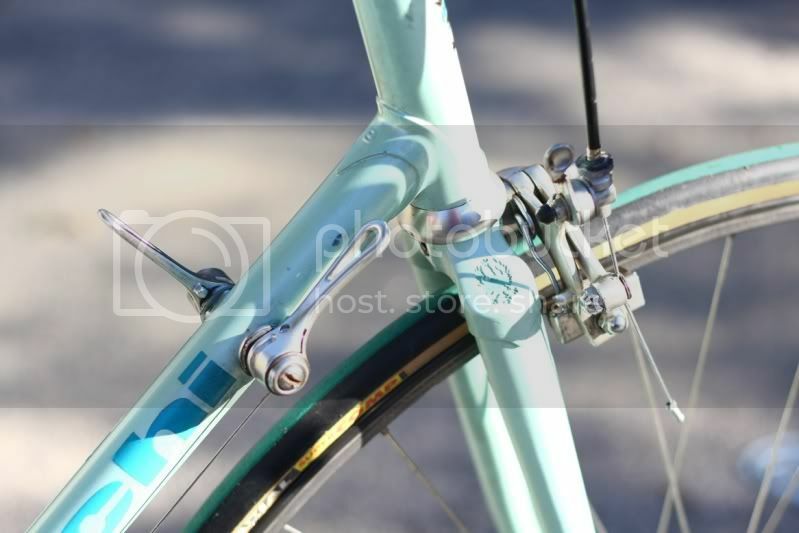 As above, a steel, celeste Bianchi always looks cool. 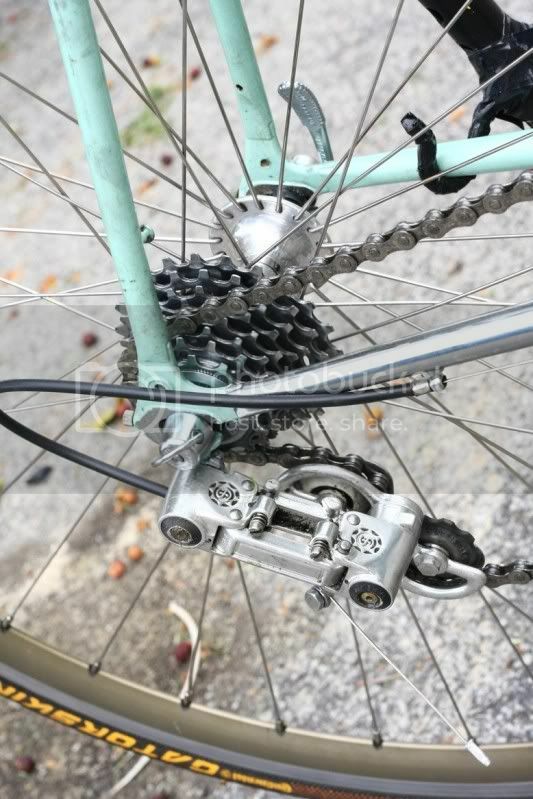 Any idea what the tubing is? 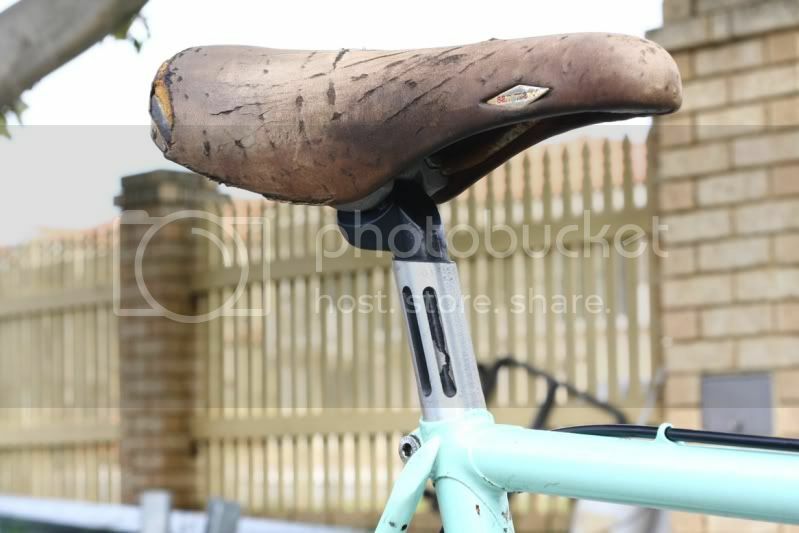 Oh, and pedantically, it would look even better with skinwall tyres! Different, always liked the colour. 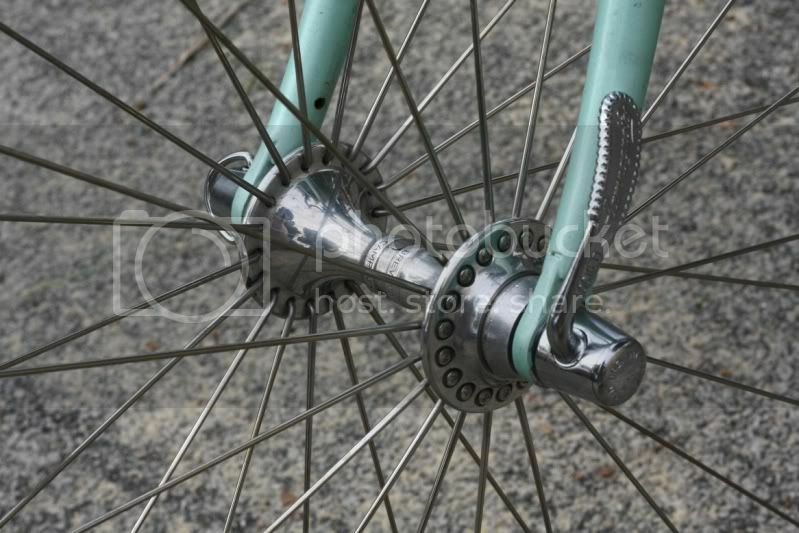 Not a fan of radial spoking though. 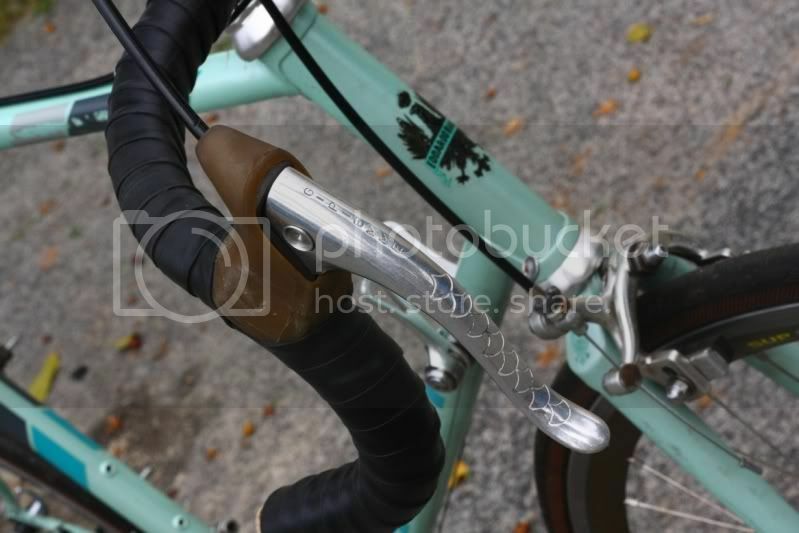 Your Bianchi, looks really cool .